Nancy Smith’s practice focuses on employee benefits. Nancy also assists non-profit, union, and individual clients with issues related to taxation, benefits, and regulatory compliance. In her employee benefits practice, Nancy advises Taft-Hartley funds and other employee benefit plan sponsors regarding compliance with the requirements of ERISA and the Internal Revenue Code as they pertain to plan documents, summary plan descriptions, reporting and disclosure, and plan operations. She has represented plan sponsors in various matters before the IRS, and assisted these clients with determination letter requests and other IRS filings. Outside of her employee benefits work, Nancy advises non-profit organizations on issues related to obtaining and maintaining tax-exempt status, and occasionally assists individual clients with discrete tax and/or benefit issues. Nancy joined Segal Roitman, LLP as an associate in 2011. In addition to working full-time at Segal Roitman during law school, Nancy received a CALI Award for excellence in Business Organizations and twice received the New England Scholar Award. 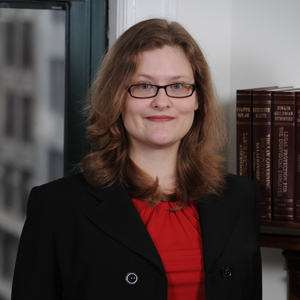 She also served as an Executive Technical Editor on the New England Journal on Criminal and Civil Confinement. When not working, Nancy enjoys spending time with friends, reading, and experimenting with vegan baking. Nancy is an occasional student of classical ballet and a frequent consumer of popular culture in its many forms. She is originally from the Midwest and still finds New England weather perplexing after many years.